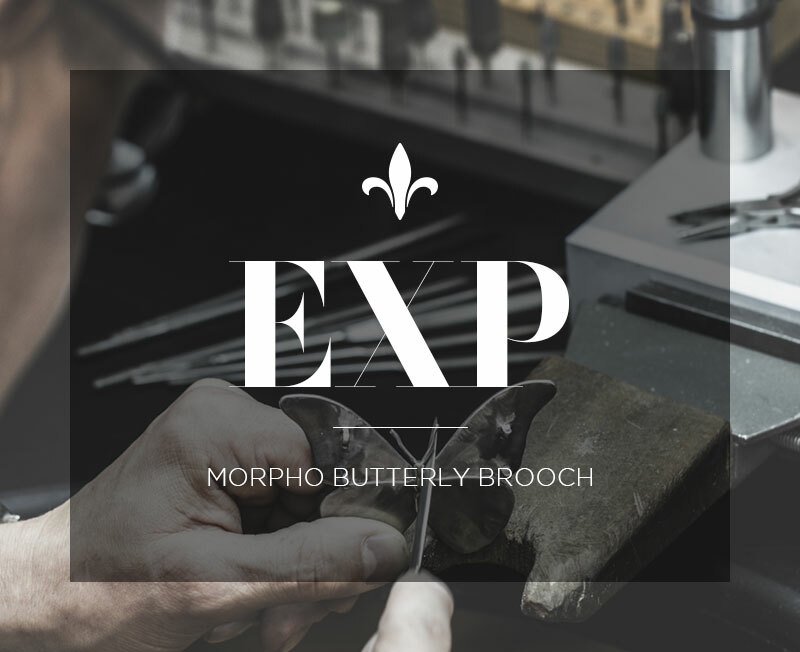 The Morpho Butterfly Brooch, handcrafted in titanium and 18ct gold. Robin sketched, marked out and traditionally pavé set the piece by hand. 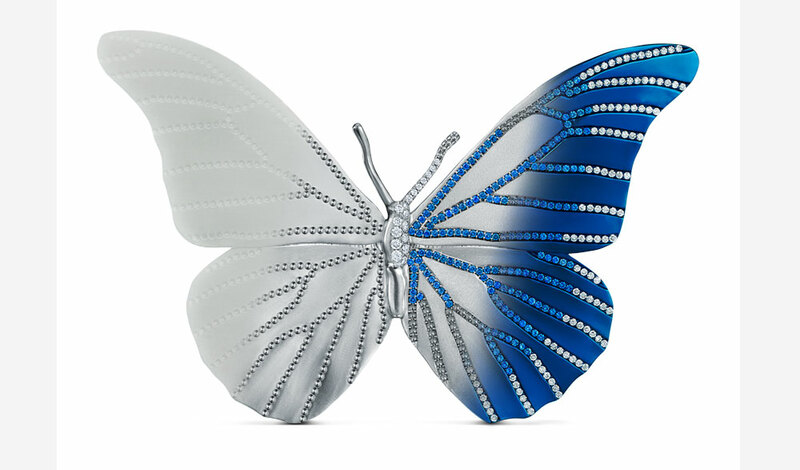 With over 600 diamonds and sapphires it took Robin 175 hours to make. 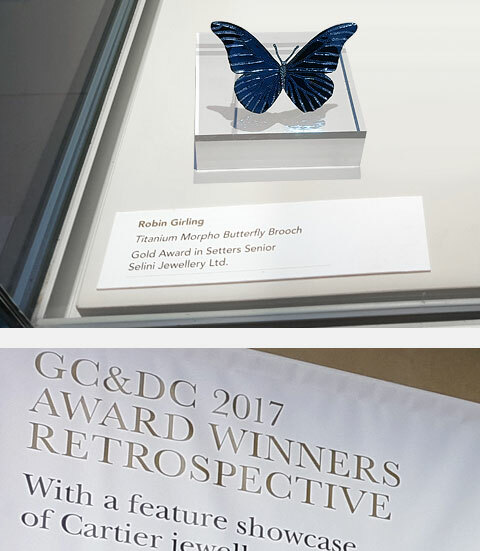 The Morpho Butterfly received the Gold award for setting at the prestigious Goldmiths' Craft & Design Council Awards in 2017. 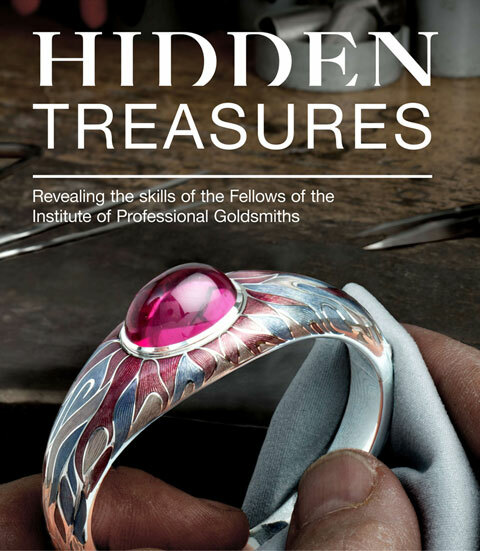 The piece was also displayed at IPG 'Hidden Treasures' exhibition at Goldsmiths' Centre London. ‘Setting sapphires in titanium is very difficult, titanium is very unforgiving and the stones often break when being set‘. An outstanding unique creation which took 175 hours to make. 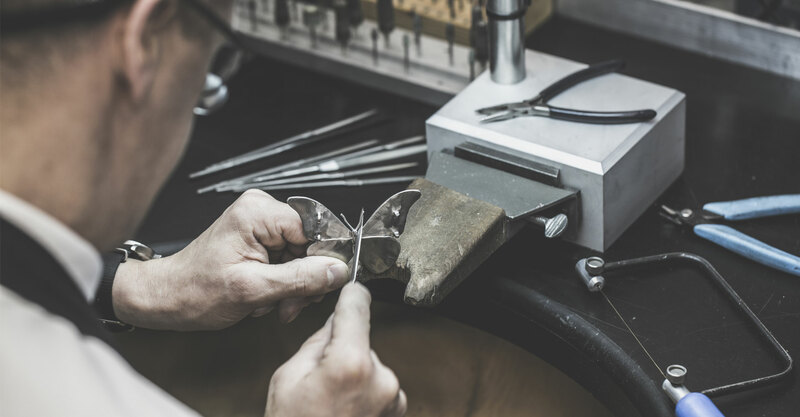 Titanium is considered to be the most technically challenging of materials, the reserve of only the finest artistic jewellers, only a handful of individuals worldwide are capable of manufacturing a fine jewel such as this in titanium.